Manchester Handball Club and the University of Manchester Handball Club teamed up to hold a Try Handball session as part of the official launch of the initiative on 14 May 2016. The event was advertised via Facebook, Twitter and word-of-mouth. It attracted families and children, and students – as well as families having picnics in the park who fancied giving handball a try. Mike Harpham of Manchester Handball Club said: “The equipment was great for playing outside. 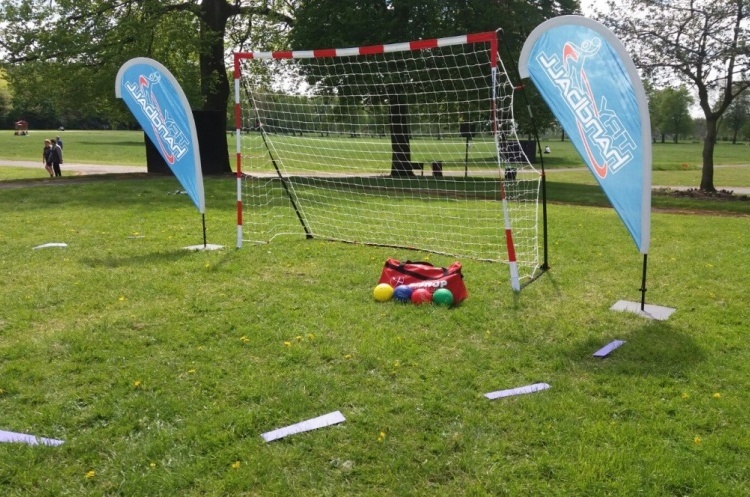 The goals were light enough to carry into the park, and the soft balls and throw down markers made it easy and safe to play handball and shoot at goal. A representative from the University added: “The goals and equipment will be a great asset in September onwards when the university start advertising the sport to new students during fresher’s week.” Manchester Handball Club and the University of Manchester Handball Club were both winners in England Handball social media competition to win free Try Handball equipment.